You should be able to click on most of these pictures to see a larger version. 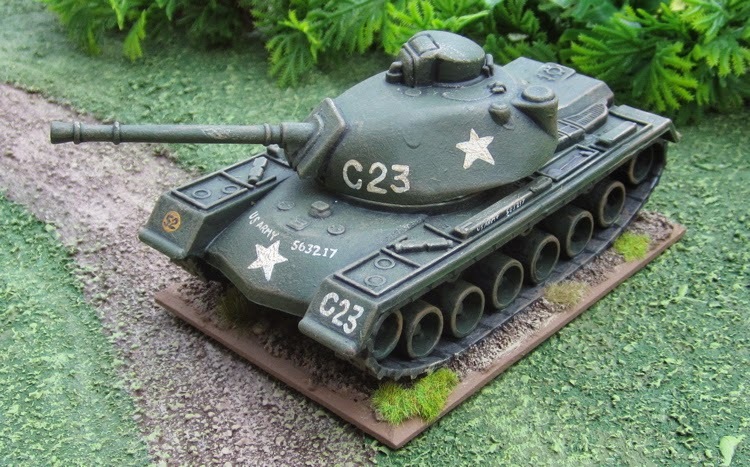 All of the figures in this platoon are from The Assault Group. There may or may not be a few more guys in the picture that I imagine would actually be in a platoon. I've seen a few different platoon organizations for Australians in Vietnam. One had 12 man sections with a mix of L1A1 Self-Loading Rifles, F1 Sub-Machine Guns, M16 Assault Rifles and an M60 Machine-gun... Others I have seen have 10 man sections with either the F1 or the M16 - suggesting that the M16 replaced the F1...? Most of the sections of this "platoon" have one or two of each (M16 and F1) so they could be fielded with either - with about 9-10 men - or both with sections of 11 or 12. 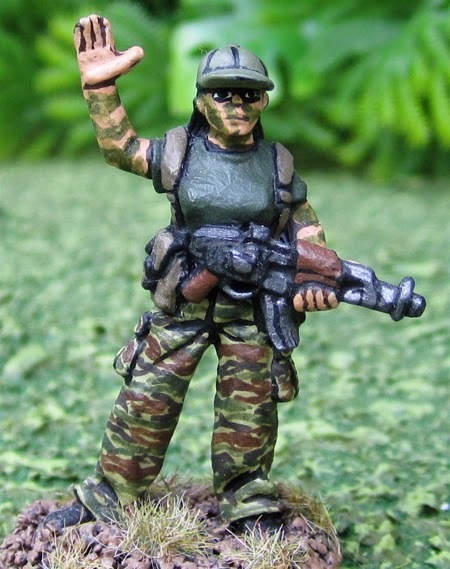 Australian Special Air Service Patrol in ERDL pattern camouflage. 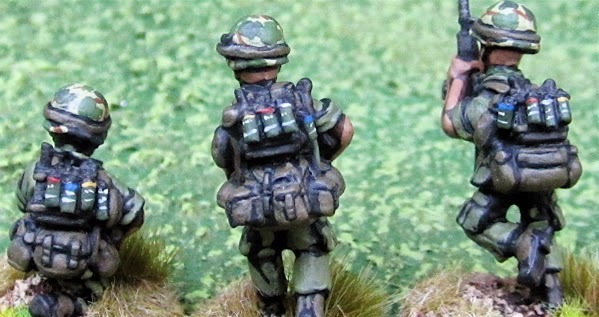 Detail of the the Radio Operator's back. Special Operators with AK-47 Assault rifles (figures from The Assault Group) - Perhaps special forces or MAVC Studies and Observation Group...? Another MACV-SOG team in black-dyed uniforms (figures from The Assault Group). This is a Coppelstone Castings Future Wars figure that I converted to use as a female CIA operative in a Savage Worlds Tour of Darkness campaign. 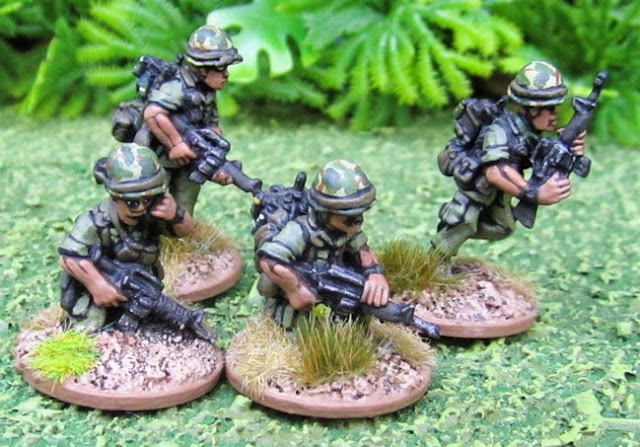 Originally - like most of my forces - I had these all neatly organized into a single standing platoon read for action! 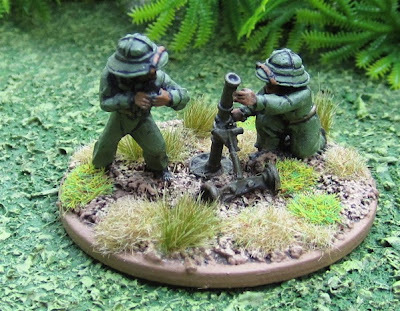 The original platoon was mostly made up of West Wind Productions riflemen and a weapons squad from The Assault Group (details of the platoon is detailed in this old post)! Since then I've picked up a few more figures from The Assault Group and others from Baker Company and rather than try to decide who stays or who goes or try to form another complete platoon... I just store them all in a big mess of like-armed-guys and pick and choose as required for any given scenario. Command elements from West Wind Productions - officer and four radio operators. Medic converted from a mis-cast West Wind Productions M-79 grenadier. 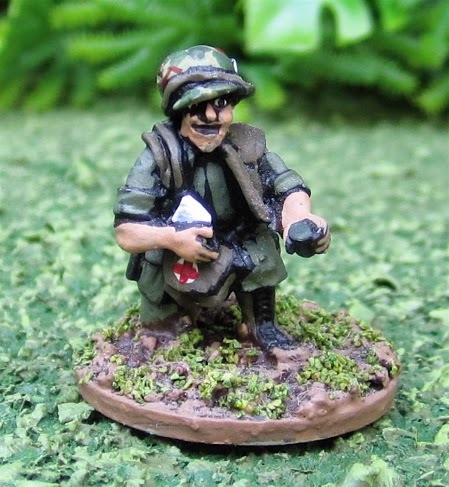 Another Officer and more Radio Operators from Baker Company. The core of the original platoon - US Army/US Marine riflemen with M16s from West Wind Productions. ...and the last few of the above US Army/US Marine riflemen with M16s wearing no hats at all (or, in one case, a bandanna). The Weapons squad from my original platoon (plus an additional M60 gunner I picked up somewhere along the way...) from The Assault Group. 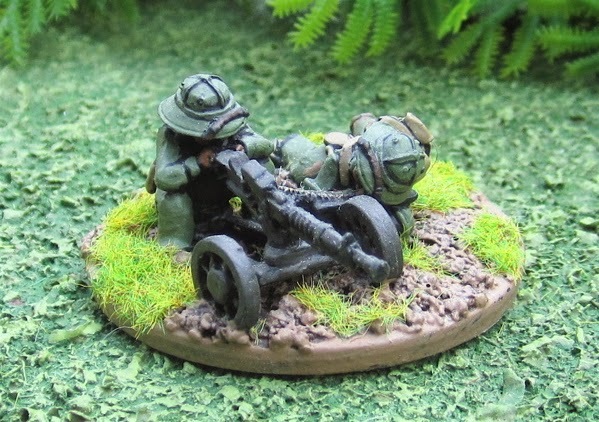 Some West Wind Productions figures armed with M79 Grenade Launchers, an M60 Machine-gun, and an M72 Light Anti-Tank Weapon. 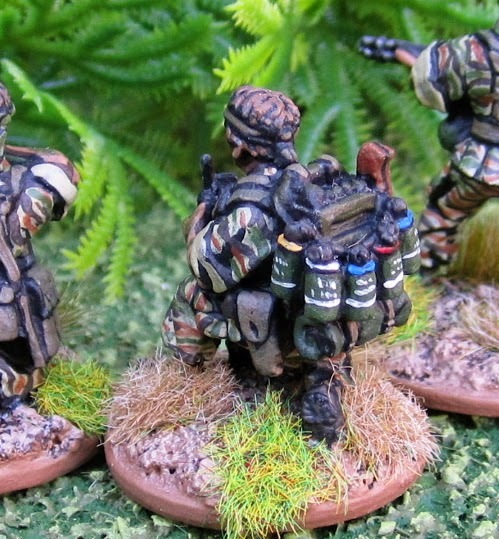 Assorted figures armed with M16/M203 grenade launcher combos for later in the war - the four on the left are from West Wind Productions, the two on the right are from The Assault Group. 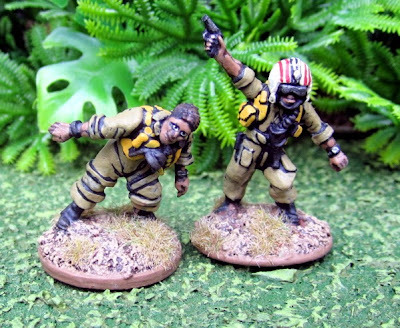 a few figures from The Assault Group in flak jackets and light order - presumably defending a base or mechanized infantry that can stow the bulk of their gear in their APC...? Squad leaders from Baker Company. Baker Company Grunts armed with M16s. The Baker Company figures seem a bit cartoony - but I don't mind - I actually like them - I think it gives them a bit more personality. 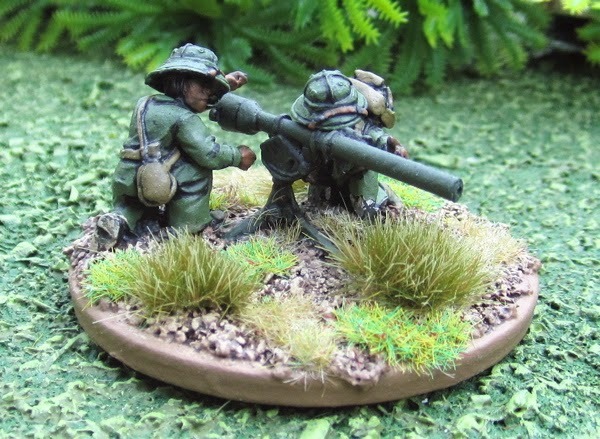 "Bloopers" - More Baker Company miniatures armed with M79 grenade launchers. Mortar teams from Baker Company. 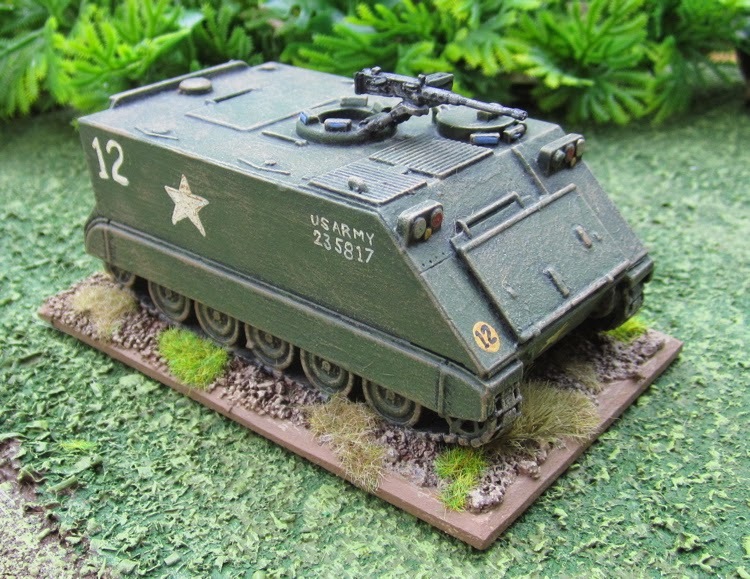 Same M113 from The Assault Group - different angle. 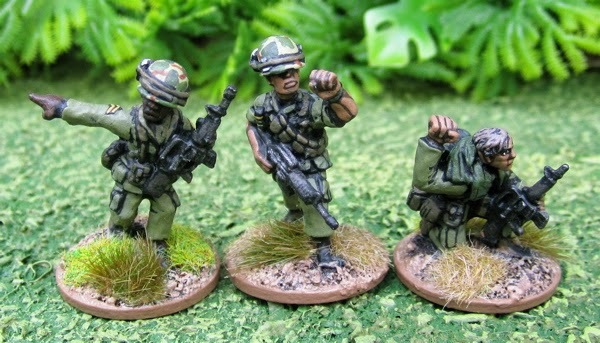 At some point I'd like to pick up some figures to use as ARVN troops. 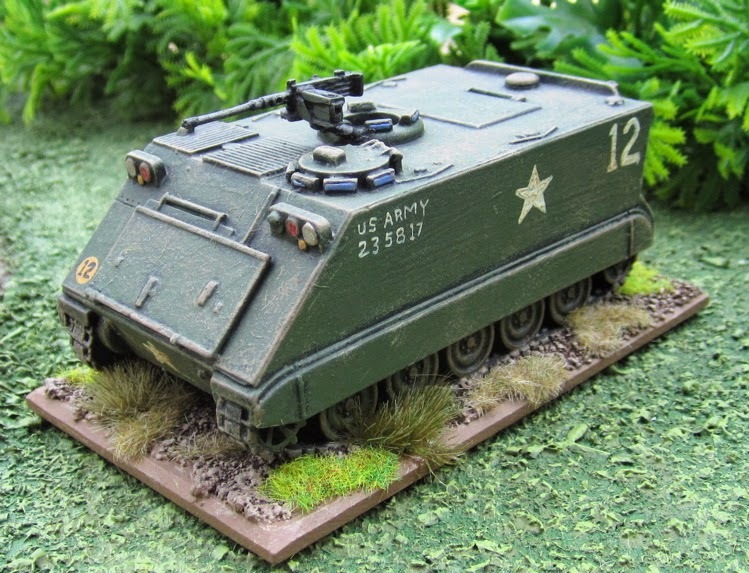 I thought - for the earlier part of the conflict at least - I could use some West Wind Productions World War Two US Marines - the figures are on the smallish size of 28mm and could be passed off as Vietnamese troops with hand-me-down US equipment (M1 rifles and such)...?